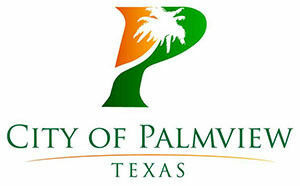 PALMVIEW — Police Chief Christopher Barrera’s employment is on shaky ground as negotiations between his attorney and the city are ongoing. After serving the department for 20 years, Barrera’s position became precarious in March when he met with interim City Manager Leo Olivares to discuss the chief’s performance. During that March 16 meeting, Olivares met with Barrera to discuss managerial issues dealing with the city’s asset forfeiture program and conflicts of interest with Barrera’s company, DefenseCom LLC. “I told him that although I was not asking for his resignation, that he may want to consider his options over the weekend,” Olivares stated in an affidavit dated March 29. But in a twist, Barrera then filed a sexual harassment complaint against Olivares just three days after the meeting. Olivares has vehemently denied the allegations. Barrera made the complaint to the mayor via a text message, which Mayor Gerardo “Jerry” Perez forwarded to City Attorney Gus Acevedo for investigation. The allegations consisted of three text messages Olivares sent to Barrera and an incident that occurred around March 12 or 13. Olivares has contended that two of the three texts in question were intended for someone else. The last message was a request to visit the city manager’s office, according to Olivares’ affidavit. In a post on Twitter, Olivares called Barrera’s complaint an “abuse of system” and a “feeble attempt to obfuscate a personnel matter.” He ended the post with #MeToo, a reference to the cultural movement driven by victims of sexual harassment speaking out on their experiences. Regarding the incident in question, Barrera accused Olivares of walking out of a bathroom inside the interim city manager’s office, where Barrera was present at the time, and zipping up his pants. Olivares has also denied this incident. On April 5, Acevedo issued a report concluding that there were no findings of sexual harassment. However, the attorney representing Barrera, Javier Pena, said it was “not a real investigation” and called it incomplete. After filing the complaint, Barrera took a nearly two-week absence but returned to work on Monday, April 9. Barrera referred all questions about the investigation to his attorney but spoke on how the department had changed since the power structure of the city council had shifted with the 2016 city elections. The chief said two positions had been eliminated and three have yet to be filled. Those individuals would oversee investigations and handled the internal paperwork, meaning their departures burdened Barrera with more work. No explanation was given, Barrera said, besides lack of funding. Barrera noted the city still hired personnel in the public works department, for the youth club and fire department. “I feel that they don’t support the staff that is there,” Barrera said. Upon his return to work Monday, Barrera said resigning was not something he was considering but also said he was awaiting guidance from his attorney as to how he would proceed. He later added that he would be surprised if the city chose to terminate him. Following Barrera’s return to work this week, Acevedo could only say that the situation with the chief would be discussed during the next city council meeting on Tuesday. The talks, however, will be in executive session because it is a personnel issue.